Congratulations to Alicia Lu for receiving the 2017 EMRA Research Grant! This grant provides research funding to those interested in completing a research project during medical school or residency. 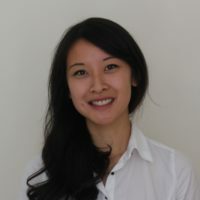 Ms. Lu is a fourth year medical student at the Warren Alpert Medical School of Brown University applying into emergency medicine residencies this fall. She is passionate about emergency medicine and interdisciplinary advocacy around homelessness, incarceration and education. Ms. Lu, her research partner Meredith Adamo, and their mentor Dr. Otis Warren are conducting an interview study of high utilizers of the Rhode Island Hospital Emergency Department. They hope to gain patients’ perspectives on solutions to substance abuse, homelessness, and other problems that disproportionately affect this population. Along with an amazing team of advocates, Alicia and Meredith co-founded the Rhode Island Medical Navigator Partnership (https://rimnp.wordpress.com/) which inspired their research. In addition to the EMRA research grant, they were also awarded the EMF/SAEM medical student research grant for their project. They truly enjoy this work and feel grateful for the support.